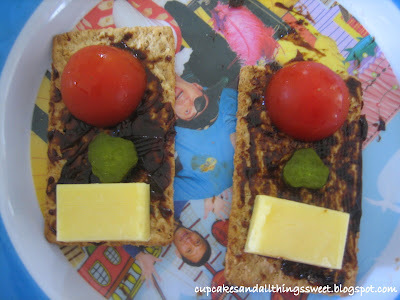 Spread vegemite (or promite, marmite) on rectangular shaped crackers. 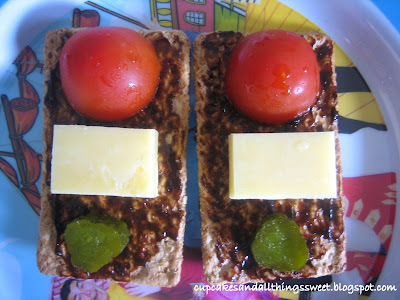 Then top with half a cherry tomato, a small chunk of cheese and then a small piece of gerkin. My son didn't like the gerkin but use whatever, a piece of lettuce or something. 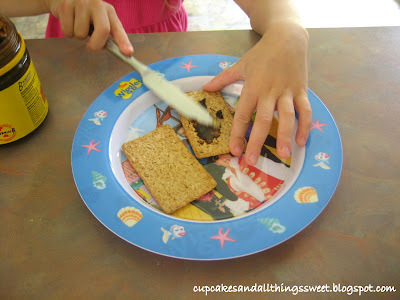 Perfect for Mommy's who wants to give something new for their kids. Nice. Thank you so much for posting this! 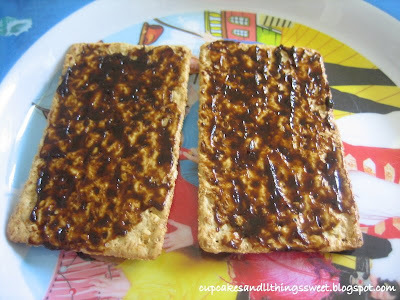 I had a sudden craving to make these crackers which I vaguely remember from watching on Playschool as a kid, but couldn't remember all the parts! Thanks!